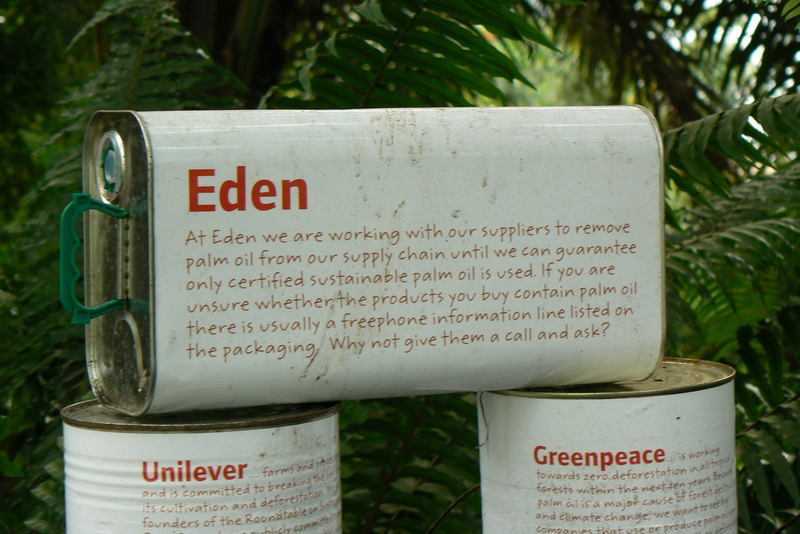 I visited the eden project a couple of years ago. When I entered the resturaunt I was pleased to see the signs of palm oil free in the resturaunt, but was then very confused when I reached the front of the queue to see that flora was on offer. There was no-one to speak to so I wrote to inquire as to this apparent contradiction. I was highly suprised to get a very rapid and apologetic response, stating that all the signs had been removed and they were very sorry for misleading me. If I’m honest it really wasnt the intention, I dont see why they cannot stock non palm oil butter (for instance natural butter). However I was rather amused how much effect my quick email had, and somewhat disappointed that an educational venue like the eden project, had not thought of this themselves. Supermarkets do know about it. 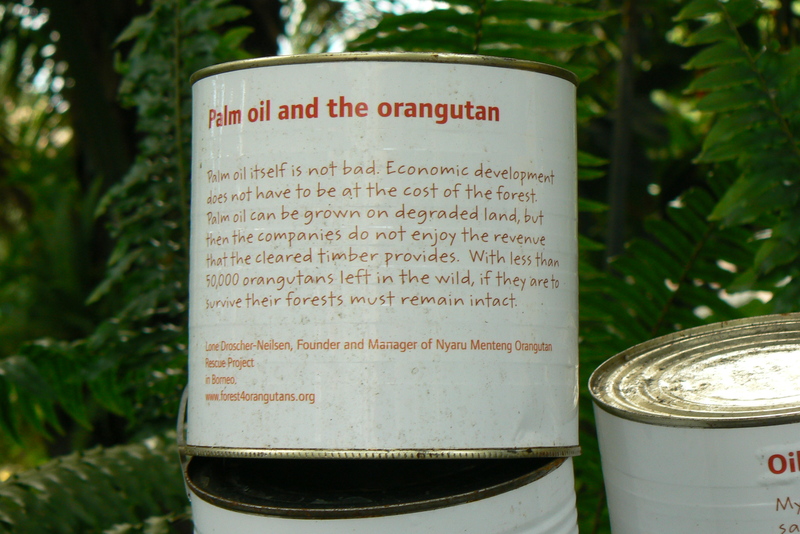 They delibarately avoid labelling “palm oil” and making it clear because they profit from the poor education and lack of choice of customers. You might call this ignorance engineering – maintain your customer in a constant state of bewiledered confusion, and they will believe that celery grows in December, that a mix of sugar and water is a “sauce” and is good for you, and that palm oil plantations, two years after the locals have been driven away from their homes, has magically become sustainable. Hi, love your blog and love what you’re doing! Thank you so much!!! There is no such thing as ‘sustainable’ palm oil, ROSPA is corrupt and IS the palm oil industry, and the ONLY way to save the rainforests is to stop eating palm oil completely, and let the companies who still insist on using it know that you no longer buy their products. This entry was posted on March 24, 2010 at 10:28 pm and filed under Uncategorized. You can follow any responses to this entry through the RSS feed.